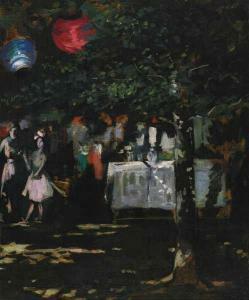 Find artworks, auction results, sale prices and pictures of Abram Molarsky at auctions worldwide. ABRAM MOLARSKY (Russian/American, 1880-1951). 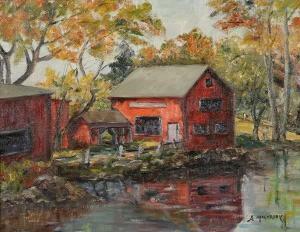 RED BUILDINGS NEAR SMALL POND, signed lower right. Oil on canvas board - 16 1/2 in. x 20 3/4 in. 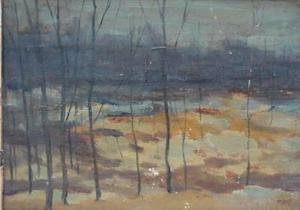 Oil on board, 19 1/2 x 23 1/2 in. 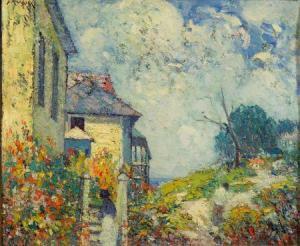 (49.5 x 59.6 cm), framed. Condition: Curve to support, craquelure. 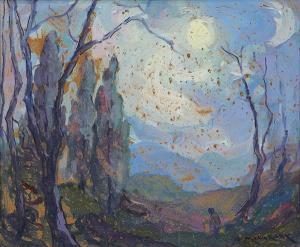 signed and dated 1917 lower right.